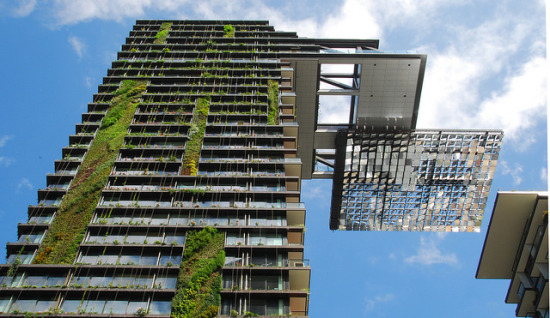 Defying the standards of conventional landscaping, living walls take vegetated ground cover to the vertical extreme. 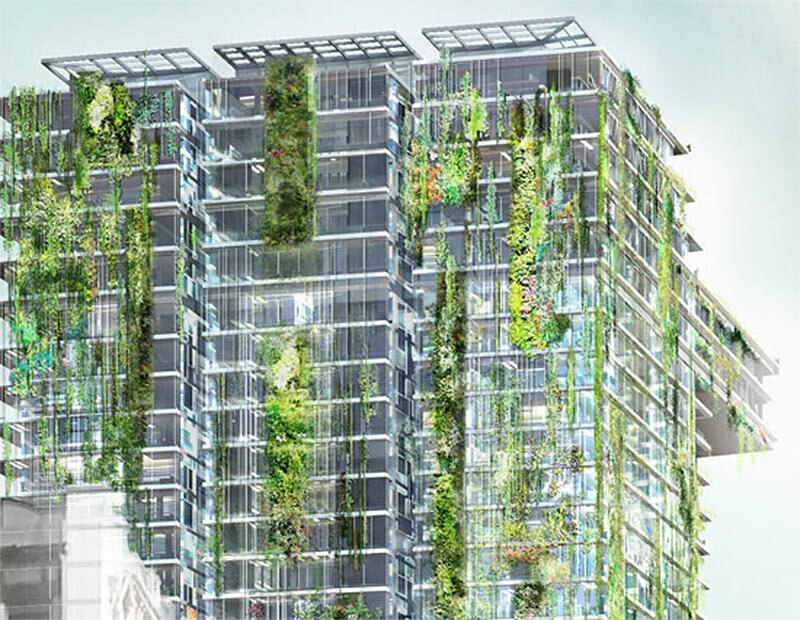 For the past 30 years, French botanist and green enthusiast Patrick Blanc has made a quantum leap forward in the art of gardening by designing and building these living walls all over the globe. 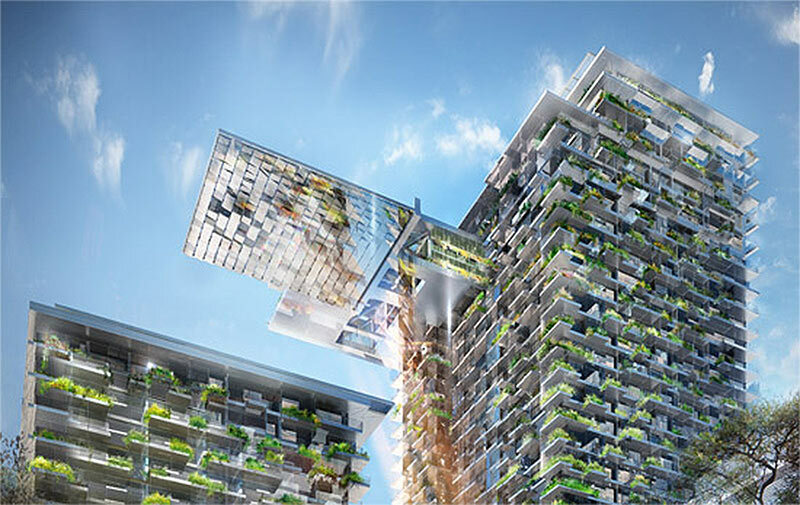 Blanc's latest project—One Central Park Tower—is in Sydney, Australia, where nature’s tranquil features join forces with dynamic city life. 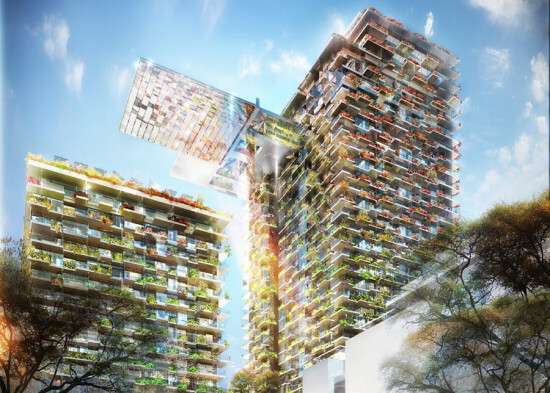 The project is a collaborative effort between Blanc and Jean Nouvel. 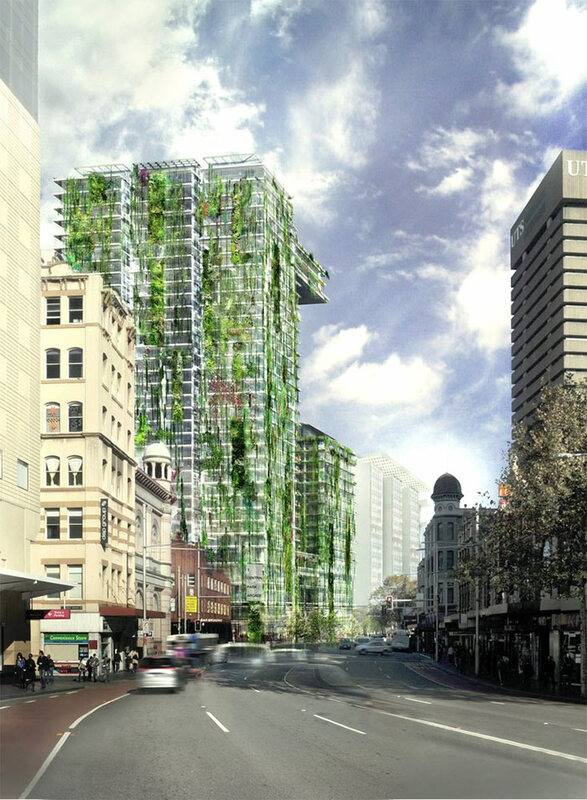 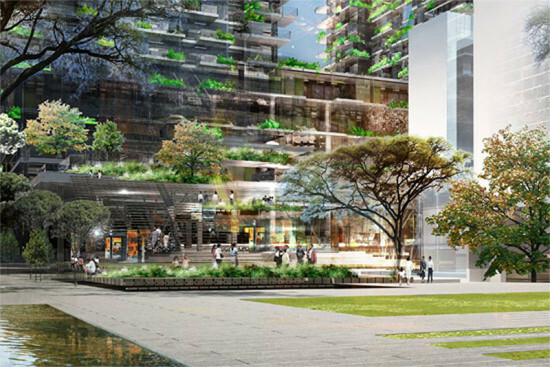 When completed, the major mixed-use urban renewal housing plan will boast the world’s tallest vertical garden. The building consists of two adjoining residential towers connected by terraced gardens, built atop a retail center. Each tower measures 380 feet in height and consists of shops, cafes, restaurants, offices, 624 apartments, and 38 luxury penthouse suites. 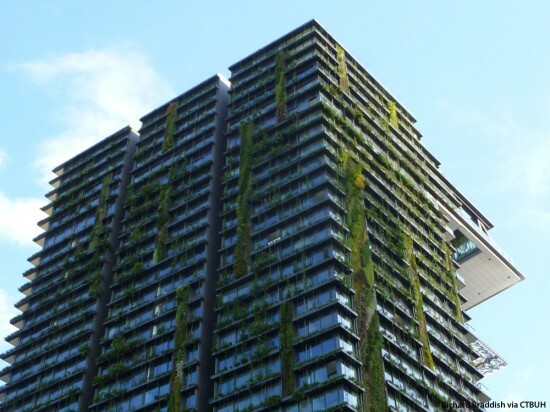 Over the years, Blanc has perfected the art of the vertical garden by using synthetic moss instead of soil for the growing medium. 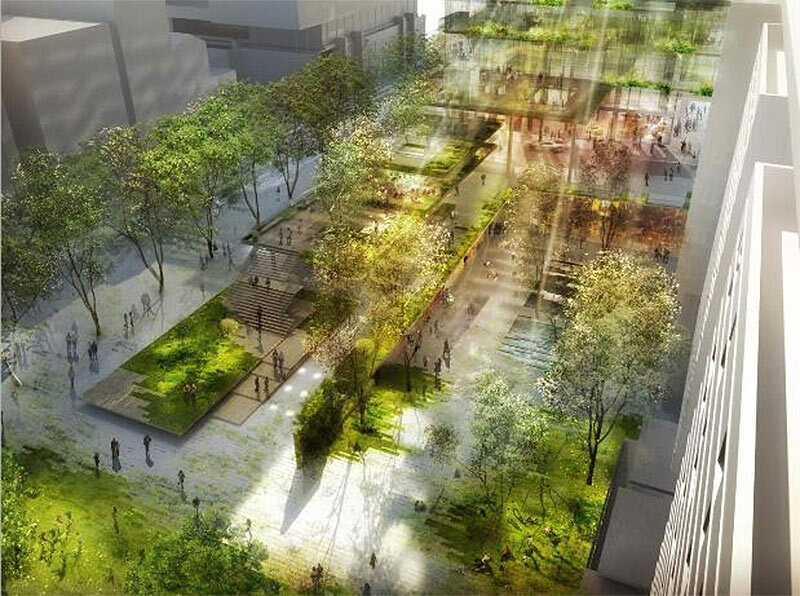 At One Central Park, he envisions covering up 50 percent of the building’s facade by incorporating 1,200 square feet of plants stretching from the 2nd floor to the 33rd floor. On the 24th floor, an immense sky garden projects 100 feet out over the park below. 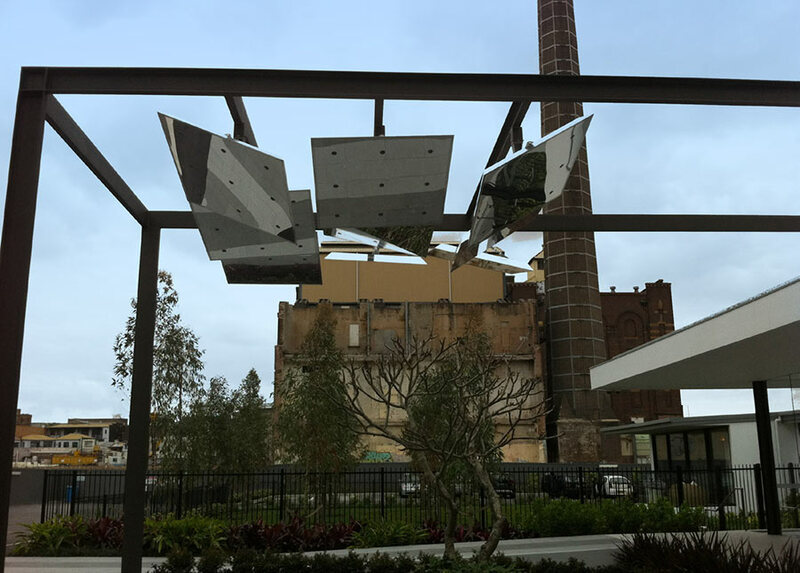 At night, the cantilever will act as a canvas for an LED light installation designed by artist Yann Kersale, with vines running up its supporting cables. 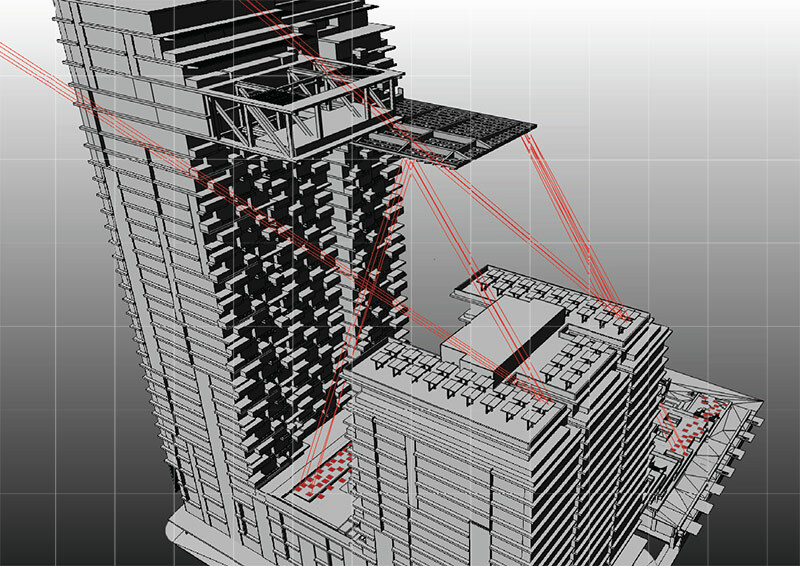 The lower part of the cantilever will be equipped with an apparatus containing a heliostat, which will reflect sunlight down onto the surrounding gardens and naturally illuminating the building. 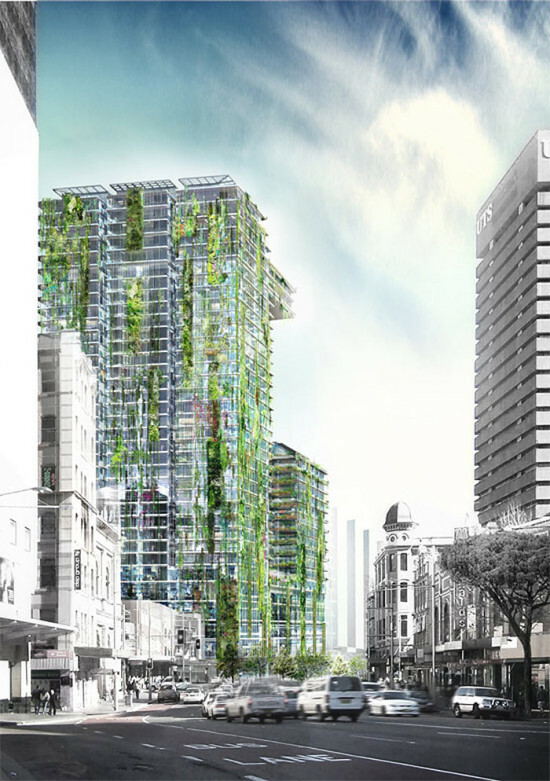 The lush green tapestry of the structure's facade will be entwined with the foliage of the adjacent park in order to replicate the natural cliffs of the Blue Mountains, which are located in the Western part of Sydney. 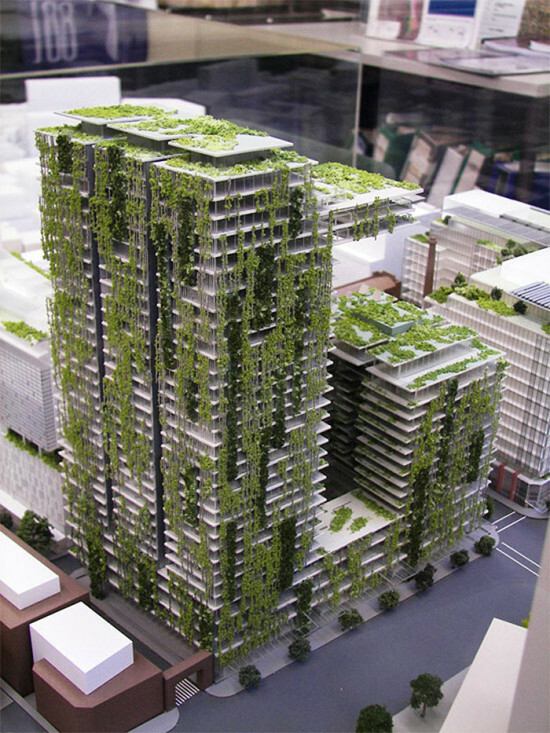 By using plants and natural sunlight, the design projects to reduce energy consumption and will help cut down the city's greenhouse gas emissions. 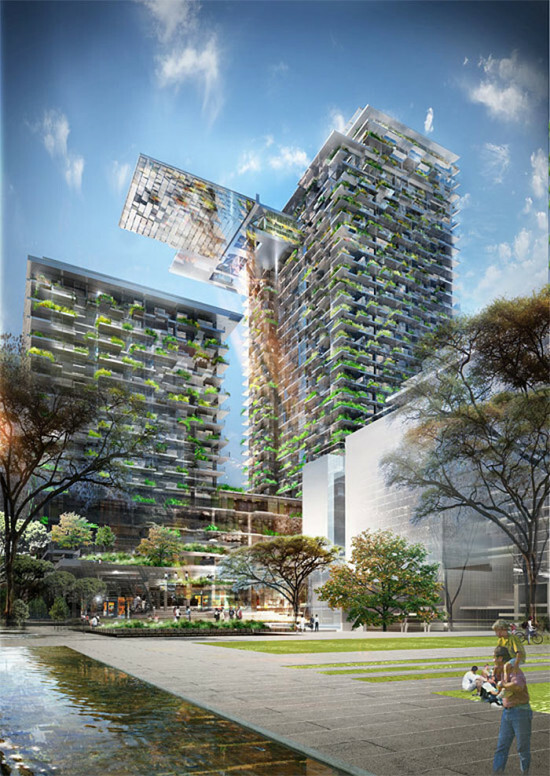 One Central Park represents a shift towards a new contemporary design era; one that encapsulates all that the age of living and breathing architecture has to offer. Estimated completion date is set for January 2014. 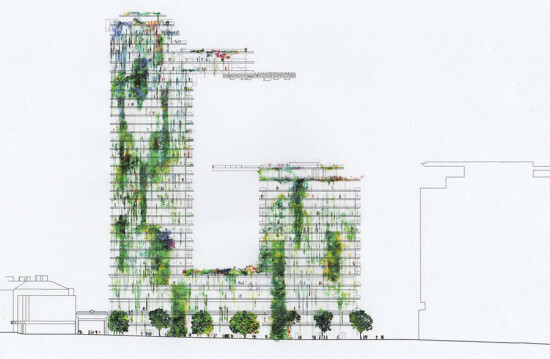 Images courtesy Atelier Jean Nouvel / Patrick Blanc / Fraser Properties. 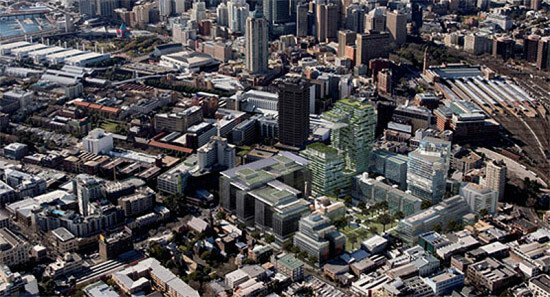 Image below: Courtesy the messiah website.